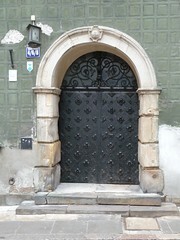 Warsaw Old Town is full of beautiful doors, each one different from the next. There is something evocative about a big, heavy door. Who knows what could lie behind it?